Did you know more than 100 people from Five Oaks are either foster parents, host parents, adoptive parents or on a meal team for our foster parents? 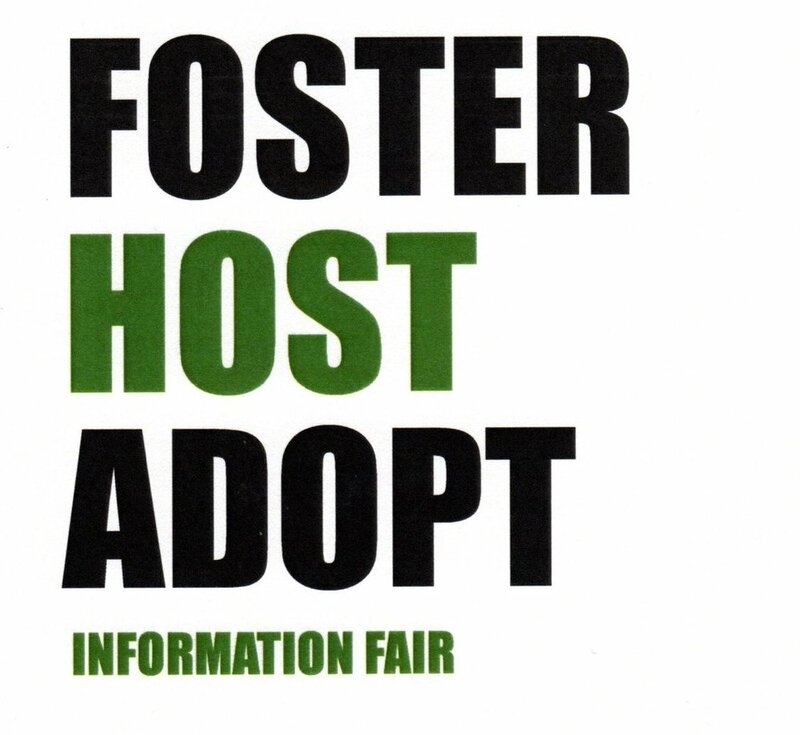 Stop by our foster/host/adopt information fair at Five Oaks on January 20, 9:30 am to 12:30 pm near the Acorn Cafe. Get more info for yourself or a friend who is interested in foster/host/adoption options. Don’t feel God is calling you yet? Come and find out how to join a meal team or other first steps in making a difference to a family in need. We’ll have some fun giveaways, too! Can’t come this weekend? Email impact@fiveoakschurch.org for more info. High school parents: are you ready for your teen’s next phase? Raising a teen doesn’t have to be about mood swings, one-word grunts, or nagging them to clean their room. Teens bring many joys, and they can even be fun! Join us for our final FREE Parenting Journey Class on January 23, 6:30 pm, at Jerry’s Foods. In this class, geared toward parents of high school students, we’ll explore teens’ changing needs, so you can have more meaningful connection as a family. Click here to register. As men and women, we play important roles in our families, at work, in our community. Sometimes the conflicting messages we receive about priorities can be de-railing to our best intentions. Men, join us for the Journeymen’s Summit, January 25-27, where we’ll explore these questions with guest speaker Vince Miller. Women, join us for our IF Gathering, February 8-9 and hosted in local homes. At the IF Gathering, we’ll hear from some leading Bible speakers and teachers to discuss ways to listen for God’s leading and following that nudge. You can find more info on both events at the ministry cart in the Commons this weekend between services. Or, Journeymen, click here for more info and to register. Rooted women, email women@fiveoakschurch.org for more info. Remember when dating seemed effortless? As in, before kids, sleep debt, minivans, and soccer schedules? Join us for a FREE Date Night at Five Oaks! On Friday, February 15, you may drop off your kids, infants through fifth graders, at Five Oaks, and we’ll engage them in fun, enriching activities while you and your spouse enjoy a night out alone together. As you drop your kids off, you and your spouse will receive a Date Night Packet filled with date ideas, conversation starters, and quality content to help your marriage. You also have a good chance of finding a Golden Ticket in your packet! (Code for: a gift card to help fund your Date Night!) You may register for this event in Realm — we have an event in Realm for those registering to drop kids off, and an event in Realm for those who won’t need Five Oaks children’s programing that night. Questions? Email Kelly Bauman at kbauman@fiveoakschurch.org or message her in Realm. Are you an empty nester? Or a parent of teens? Help us bless our young families by helping entertain Five Oaks’ youngest children during Date Night. On Friday, February 15, while these young parents get a well-deserved night out, you can look forward to games, crafts, movies, snacks and more, plus the chance to make connections with these sweet kids. Please email Kelly Bauman, kbauman@fiveoakschurch.org to volunteer. Reach One Family Facebook Group: Want help inviting your neighbors? Remember our Reach One Family Facebook group – the one we used for Fall Fun Fest to encourage each other with inviting others? Check back often, as we’re continue the conversation about praying for our Parenting Journey Classes. Do you have neighbors with kids in the same phase as your kids? Or co-workers with mystifying teenagers? The dialogue we’re having on the Reach One Family Facebook group will offer encouragement, suggestions and ideas for how we invite others. Check it out today! If you still haven’t joined the Reach One Family Facebook Group, it’s not too late! Search the group on Facebook and request an invite! Are you naturally organized? Do you experience a small thrill when a task is completed? If so, we have the perfect serve opportunity for you. We’re looking for someone to help log our weekend service attendance info into Realm. Twice a month. Four hours total. A great at-home serve opportunity! We’ll provide all the training you need. For more info, please email Kelsey Vang, mailto:kvang@fiveoakschurch.org. Did your finances steal your holiday joy? Sometimes simply having a plan in place for the future can help us enjoy today. Financial Peace University (FPU) can help you rediscover that confidence. FPU helps families get a clear vision for how God sees finances and practical tools to help you see a less stressful tomorrow. Class starts February 3 at the 11 am service and runs 10 weeks. Cost: $90; scholarships available. For more info and to register, click here. Many find the Bible confusing because many don’t understand how it all fits together to tell one story. In Story of God, this 6-week experience will provide a framework for the Bible, help you read it with greater understanding, and make room for tough questions. This is a great way to connect with others in your SOG cohort, too. Next class starts in February. Click here for the schedule of Story of God classes starting soon.